Their children had no children. while Her son knelt in Holes of Glory. while I'm back to where we both fled. The cardinals return to their feeders. At first, I read a poem about retention/loss/distortion of memories. The fleeing from and returning to part of most lives.The repetitions, the cycle of invents/forgets, and that last line, led me to think of the structures of family and institutional abuse/traps. Perhaps that last reading is distorted by the latest revelations and the fact I don't understand the use of feeders. Actual bird feeders. Despite the family past and present, cycle of life will continue around them them and without them. 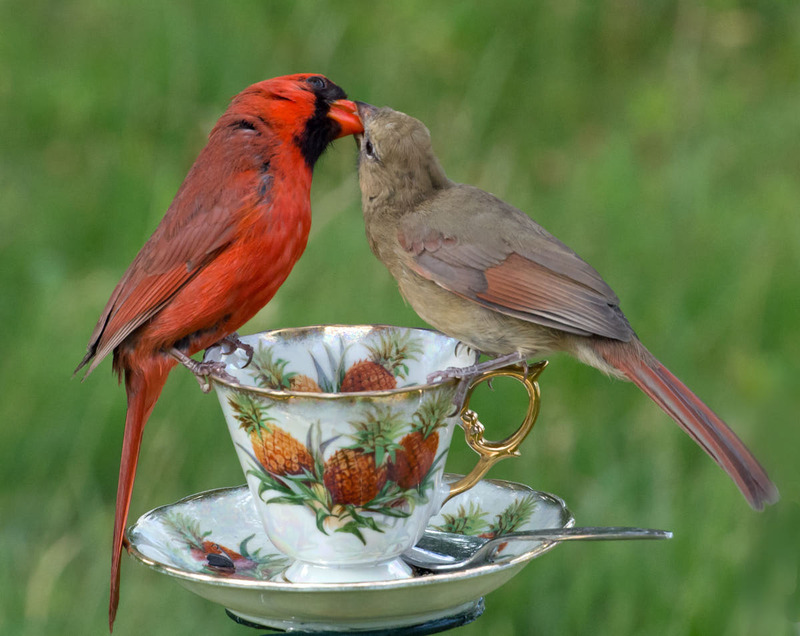 The cardinals still return to feed. Marti, this poem mangles the brain at first , then it all falls into place. The story of family, a particular family and the genetic development and potential end of the line. The story isn’t over. I actually got the last line and see no need for change. If you feel the need to change, my preference would be the second. The first seems celebratory and that is not the vibe I get from the body of the poem. i love the frame you used, it is what allows the reader too put it all together. I don't know why I didn't think of the bird feeder, the device. I, too, like the original. "Seed" is a great word with subtle connotations, but as much as I would love to see it used in this poem, my vote is for the original. To me, "feeder" is 40% bird feeder and 60% "one who feeds." I love the poem. You're right that the celebratory tone would clash. Thank you. My ignorance Marti. I didn't know cardinals were birds. I do like the form.